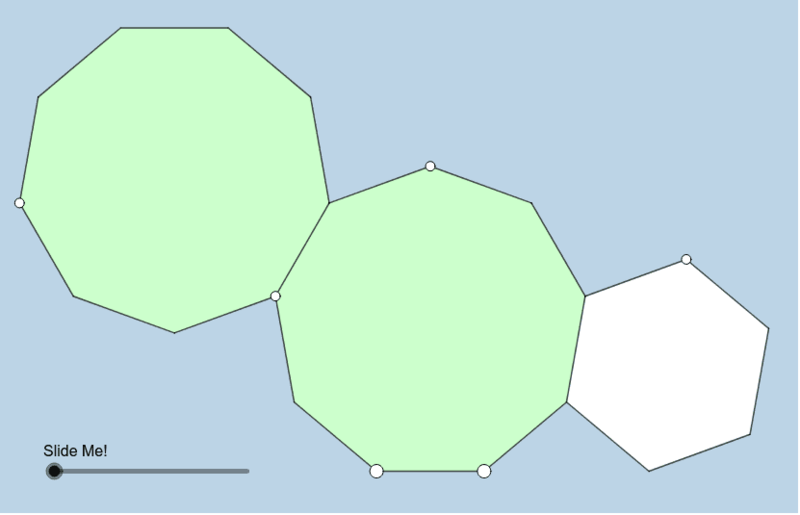 Below we have a 2 regular nonagons and 1 regular hexagon. The 2 LARGE WHITE VERTICES can be moved anywhere you'd like at any time. How can we formally prove what is dynamically illustrated here?